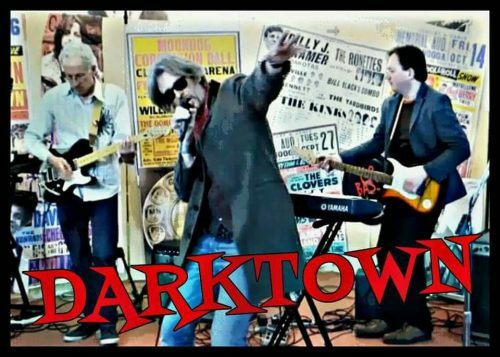 Darktown are a Sligo/Leitrim band who hit the Sligo music scene like a Grenade. Part post-punk revival, part neo-psychedelica ,Fans of Darktown are familiar with their ‘groove-noir’ style, woven-through with bleak, folk lyricism. For the unanointed: each Darktown track creates a sonic landscape populated by a strange cast of characters. Unhinged preachers, moonstruck lovers, and lost souls abound. Declan Drohan, dark balladeer and lead vocalist with the group, says that their EP ‘Deepwater Quay’ was “a statement of intent”. He describes their latest album release, ‘Machinery of Night’, as being “more sonically diverse” with a “broader palette of sound and rhythm” featuring “elements of dub and electronica”. Reviewer Tony Floyd Kenna described Darktown as having “great songs” with “musical arrangements that allow the stories to breathe and develop”. The wild energy of their anarchic live performances has to be seen to be believed. When making The Date it was imperative for us to find the right elements to bring the script to life. You can imagine our excitement when we were directed towards the music of Darktown. Their music is an integral part of the film. It helps create the atmosphere, the mood, it ushers us through the story. The guys in Darktown have now been kind enough to make all four original songs used in The Date available for free download. To quote our sound mixer Carl “These guys are great. Like the Nick Cave and the Bad Seeds of Sligo”. The line-up is Declan Drohan on lead vocals and guitar; Donal Adams on keyboards, vocals, and guitar and beats; and John Daly on guitar, effects and atmospheres and drum programming..
I’ve seen this band perform many times in Sligo. Great vibe , Authentic Sound and some really cool Tracks .